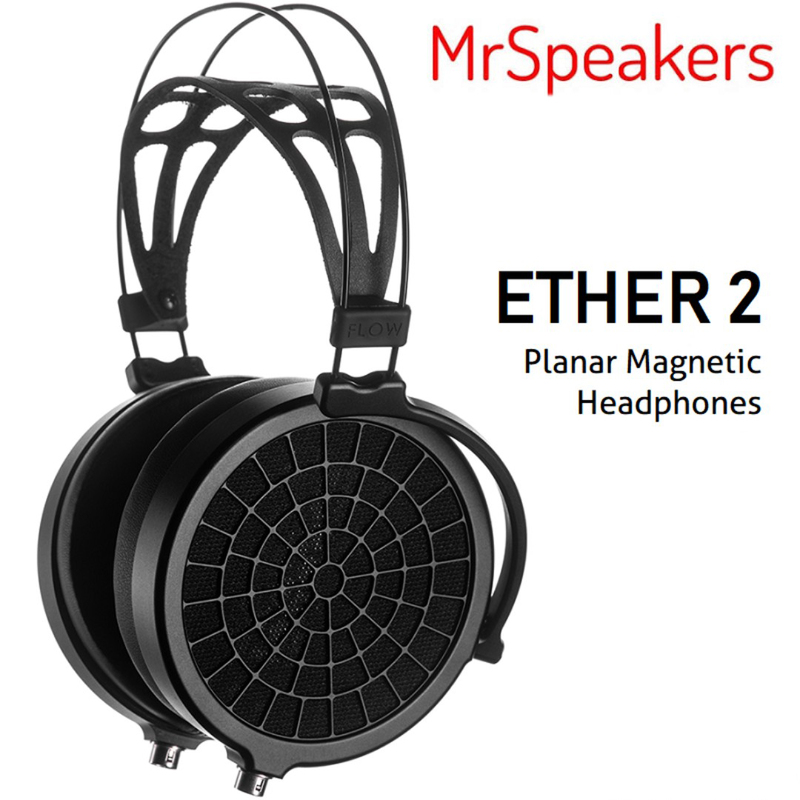 A few months ago, MrSpeakers introduced their latest flagship planar magnetic headphone model – Ether 2. If you are familiar with MrSpeakers headphones, you could assume that Ether 2 is just an upgrade of the previous Ether model but MrSpeakers Ether 2 is much more than a simple upgrade. The manufacturer completely changed the design, made a few important technical improvements, and tuned them in a way that’s not exactly typical for MrSpeakers headphones, but it’s very much pleasing. Ether 2 is a fusion of all the previous headphones made by MrSpeakers. Read our review if you want to find out more. Ether 2 it the latest headphone model from the Ether series. Ether Open (or Ether 1) headphones were introduced in 2015 and they were so fun to listen to. They delivered such a nice sense of musicality with a pleasant warmth in sound signature due to a subtle bump in the upper-bass and low-midrange regions. Ether 1 featured V-Planar drivers but didn’t feature True Flow technology. The upgraded version called Ether Flow featured True Flow technology which improved the resolution and extended the frequency response. 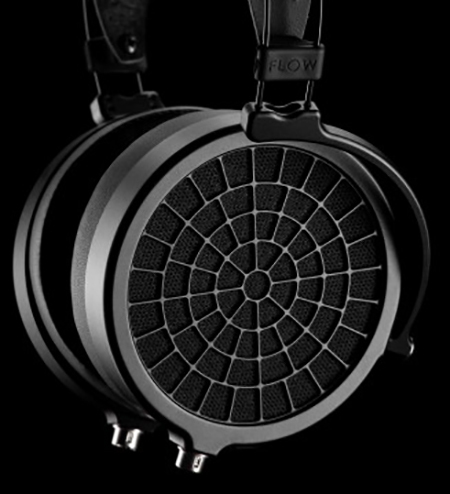 Then, the new Ether Flow 1.1 appeared. This was basically Ether Flow with a tuning kit (a set of decals similar to those that come with AEON Flow headphones) and VIVO cable instead of previously used DUM cable. At the same time, MrSpeakers introduced completely redesigned Ether 2. Ether 2 doesn’t look like any of the previous Ether headphones. In terms of design, MrSpeakers Ether 2 resembles VOCE headphones, which are MrSpeakers flagship electrostatic headphones and the most expensive headphone model made by this manufacturer. Along with the aesthetics, the manufacturer improved the comfort and durability. Ether 2 are extremely light (the lightest planar magnetic headphones on the market) and very comfortable. There are practically no plastic parts – it’s all aluminum alloy combined with carbon fiber. The headphones feature a few interesting technical enhancements and technologies developed by MrSpeakers. Some of them are used on some previous MrSpeakers headphones (like V-Planar diaphragm, True Flow, HIROSE connectors, Nitinol memory metal headband) and some of them are completely new and upgraded (like VOCE cable). We will discuss all these technical details in the Features section. In terms of sonic performance, Ether 2 headphones are one of the best we’ve ever heard. They deliver an incredibly linear, balanced, and neutral response. They don’t emphasize any frequency range and reproduce the music the way it was supposed to sound. They sound honest and dynamic. The bass extension is unbelievable, the midrange is clear and layered, the highs are a little bit laid back but very detailed and smooth. MrSpeakers Ether 2 headphones deliver reference-grade balance and neutrality. The sound they produce is rich and detailed. It’s perfectly natural without any emphasis or coloration. Ether 2 is, without any doubt, an impressive performer – it delivers clear, extremely deep, and perfectly controlled bass response, impressive midrange clarity and detail, and refined laid-back treble. Combine this kind of stellar performance with an impressive build quality and above-average comfort (for a pair of planar magnetic headphones), and you will understand why this is a flagship model. The only real downside is the price. If you compare them to flagship models made by other manufacturers (Audeze and HIFIMAN, for example), you will realize that $2,000 price tag is completely justified but that doesn’t make them less expensive. Still, if you want to experience the music in its purest form, you must try Ether 2 headphones. Ether 2 headphones come in a stylish black box with Ether 2 label on the top. It’s maybe not as premium as OPPO PM-1 box or HIFIMAN HE1000 V2, but it looks nice and attractive. Inside the box, you will find a semi-hard carrying case with MrSpeakers logo (which is pretty much standard accessory that comes with all the Ether headphones). Inside the carrying case, you will find your headphones, detachable VOCE audio cable with HIROSE connectors, short user manual, cleaning cloth, and a 2-year warranty (parts and labor). The best thing is that you can order the cable you find the most appropriate for your equipment (headphone amp/DACA or DAP). There are VOCE cables with different connectors and in different sizes (6ft long with ¼-inch connector, 10ft long with ¼-inch connector, 3.6ft long with 2.5mm adapter, 3.6ft long with 3.5mm adapter, 6ft long with 4-pin XLR (balanced), 10ft long with 4-pin XLR (balanced), 3.6ft long with 4.4mm connector). MrSpeakers basically copied the design of their VOCE electrostatic headphones and made it better just by selecting the matte black finish for the earcups instead of anodized silver you can find on VOCE headphones. Ether 2 headphones are simple but quite stylish and visually-pleasing. The headband consists of two memory metal wires and a simple and thin head strap made of pleather. On the outer ends of the earcups, you will see spider web patterns/grilles made of aluminum. The cups and yokes are entirely made of metal alloy and the driver baffles are made of carbon fiber. You won’t find any plastic parts here. Each earcup features the good old proprietary HIROSE connector you can find on many previous MrSpeakers headphones. We have absolutely no complaints regarding the build quality. It may look like some parts are made of plastic on pictures, but it’s actually all metal and carbon fiber. There are no plastic parts. As you probably know, plastic would also affect the sound quality making it less accurate and less natural, but we’ve had no idea what kind of effect carbon fiber has on sound and we’ve been eager to find out. Compared to the original Ether headphones, Ether 2 also have improved headband. It’s the same Nitinol headband you can find on VOCE electrostatic headphones. This is the second thing that significantly decreases weight and improves comfort. It’s much lighter than the aluminum arch you can find on Audeze or HIFIMAN headphones. The head strap is made of pleather and it has a bunch of perforations. The intention was to make it more breathable and comfier. 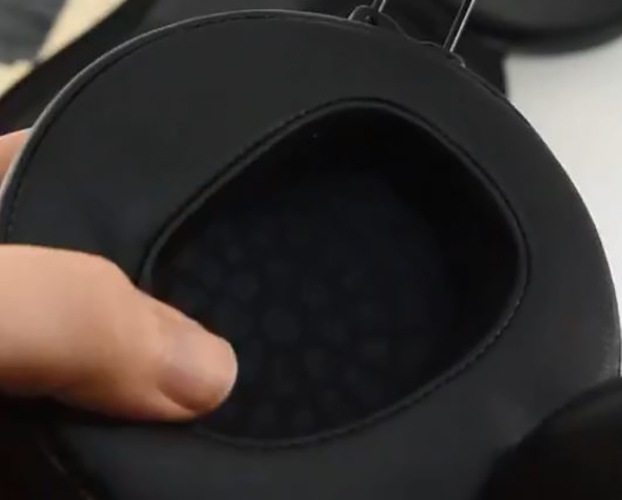 The earpads are made of synthetic protein with a fake leather finish. They are circular with relatively small ear-shaped cavities. The cavities will fit regular ears, but if you have larger ears, you might find them too small and you will experience some discomfort. The earpads are not the thickest or the softest on the market but they still offer above-average comfort, especially when compared to other planar magnetic headphones. There are certain proprietary technologies developed by the MrSpeakers team in order to enhance the frequency response, resolution, clarity, and other sound-related characteristics. The most noticeable technological enhancements are V-Planar diaphragms, True Flow technology, and proprietary VIVO cable with HIROSE connectors. The founder of MrSpeakers, Dan Clarke, had some doubts about flat planar magnetic drivers. He considered them not elastic enough and unable to vibrate uniformly (especially when they need to make large excursions during bass-heavy passages). The solution he came up with was a serrated driver (V-Planar driver). This small enhancement made the driver more elastic and enabled large excursions without too much strain to the material. This resulted in more dynamic reproduction, extended frequency response (extended bass and treble), and significantly lower distortion. V-Planar technology has been used since 2015 (since the Alpha Prime headphones) and you can find it on many MrSpeakers headphones (AEON and Ether line). True Flow is a more recent technology. It was developed for VOCE headphones and then applied to Ether and AEON upgraded versions (Ether Flow, Ether 2, and AEON Flow). As you probably know planar magnetic drivers consist of a flat diaphragm and an array of magnets on one or on both sides of the diaphragm. Those magnets interfere with the airflow and cause sound reflections and diffractions, which result in distortion and lower resolution. In order to solve this issue, MrSpeakers team came up with the True Flow technology. They basically made an array of waveguides on those magnets in order to direct the airflow and reduce the reflections and diffractions. This enhancement resulted in a better resolution, cleaner reproduction, lower distortion, and extended frequency response. The previous Ether models were shipped with the OFHC DUM cable with HIROSE connectors, while the latest model comes with a thicker VIVO silver-plated OFHC cable. VIVO cable is lighter, it reduces microphonics, and improves sound clarity. MrSpeakers kept the HIROSE connectors, which are, in our opinion, one of the best and most secure proprietary connectors we have ever used (it would be stupid to change something that’s been working great on all the previous models). Ether 2 have 16Ω impedance. The manufacturer didn’t offer info on the sensitivity and efficiency, but they are relatively easy to drive and you can use them with your phone without any additional equipment and get a satisfying performance. Naturally, using some portable headphone amp or DAP will make your listening experience much better. We’ve used Ether 2 with FiiO Q5 (which is FiiO’s latest high-end amp/DAC), Sony’s DAP Walkman WM1A, FiiO’s X7II DAP, and Chord Electronics Mojo portable amp. They all sounded great, but both DAPs (WM1A and X7II) delivered slightly less dynamic reproduction than the Q5 and Electronics Mojo. Out of all four, Mojo-Ether 2 combo delivered the best experience with impressive dynamic range, great 3D soundstage, and refined audio output. When it comes to desktop amps, we have only used it with the SCHIIT Jotunheim amp/DAC in combination with our desktop computer and Audio-Technica AT-LP120BK turntable. Ether 2 headphones deliver reference-grade balance. The frequency ranges are perfectly balanced without any warmth, brightness, coloration or emphasis. The headphones will deliver the music exactly the way it was recorded and without hiding any detail. One thing that could be considered Ether 2’s trademark is laid-back treble response without any harshness or brightness. Still, the most impressive thing about these headphones, at least in our opinion, is the low-end. It’s not about quantity of bass – it’s about quality and extension. The bass blends nicely with the low midrange, but it’s perfectly transparent and very present. Ether 2 delivers the most subtle details with such neutrality. That kind of balance and honest representation is very rare nowadays. Even planar magnetic headphones, which are famous for their relatively flat frequency response, are tuned in a way that puts a slight emphasis on some frequencies (usually mid-bass or upper-treble) in order to make a contrast between different ranges and improve musicality and dynamics. The bass response is truly astonishing. It’s literally brought to the point of perfection. Unlike many other headphones (even planar magnetic ones), Ether 2 headphones don’t have any elevation at 100-200Hz. The beauty of their bass comes from a huge bass extension and almost nonexistent distortion. The bass is pleasant, transparent, and very controlled. You won’t hear any muddiness in the lower midrange or any warmth. Even though it’s not emphasized, it is very much present and recognizable, even in the most complicated mixes. If you are more into bass-heavy sound, you won’t find this kind of bass response suiting, but if you are into pure quality, Ether 2 will amaze you. The midrange is nicely balanced against the bass. It’s very dynamic and detailed. There’s a small dip around 3kHz (up to 4kHz) which doesn’t make sound signature less balanced – it only makes some female vocals and some instruments a bit more distant (less forward). In that kind of mix, male vocals sound slightly livelier than high-pitched female vocals. The midrange is maybe not perfectly vibrant but it adapts nicely and complements the bass foundation. Besides small dip around 3kHz, there’s no noticeable emphasis in the midrange. This kind of midrange response doesn’t draw any attention to a specific range – it allows you to hear the music as a whole and recognize the smallest details in the background. Just like the bass, the mids are realistic and clear. When it comes to treble, MrSpeakers avoided putting a subtle emphasis on upper-treble to make a contrast. Instead, they opted for more natural-sounding treble. Most of us will define this as laid-back treble because we are so used to emphasized and bright treble. It takes some time to adapt to this kind of treble response but, after some time, you will realize how transparent and natural it is. Control, attack, and dynamics are almost perfect without any awkwardness or incoherence. The soundstage is wide and airy but not exaggerated. It’s like you are in a concert hall. The separation between the instruments is very good and the imaging is quite precise. It’s easy to pinpoint every instrument in a mix. Our only option here is to compare Ether 2 with other flagship planar magnetic headphones made by other manufacturers. They all deliver great accuracy and extended frequency response, but there are always certain tonal nuances (subtle dips and peaks at different frequencies) that make them special. 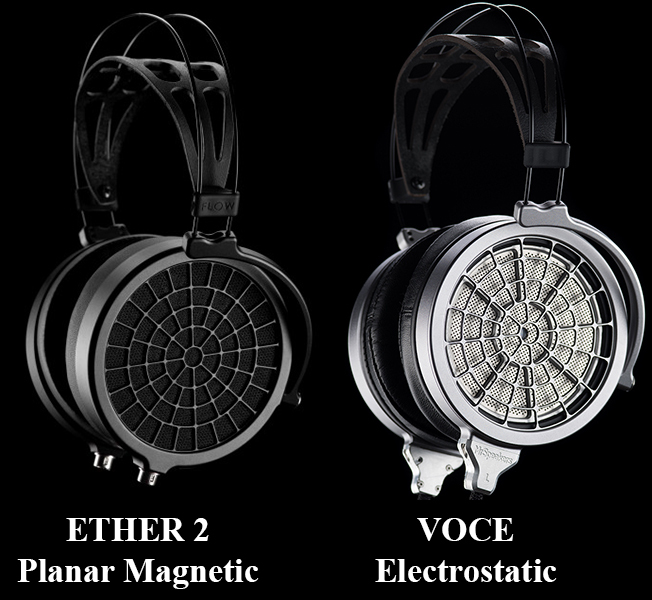 Ether 2 and LCD-3 are within the same price range (priced around $2,000) and they both look quite luxurious. 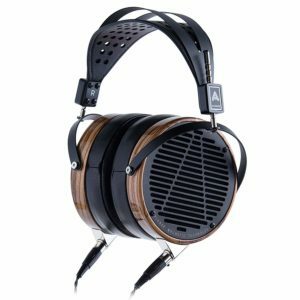 Some people might find LCD-3 more sophisticated because of the wooden rings around the earcups. There’s a huge difference between the two models when it comes to comfort. 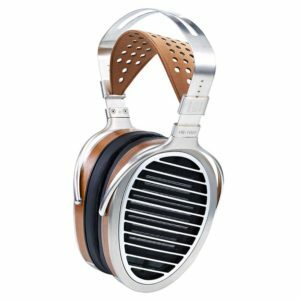 Ether 2 headphones are much lighter than LCD-3 (10.2oz VS 1.2lb). LCD-3 headphones have thicker earpad paddings and a great headband but that’s not enough to compensate the weight issue. Ether 2 headphones are definitely comfier for long listening sessions than the LCD-3. LCD-3 headphones are also much harder to drive (110Ω VS 16Ω) and they really need some kind of headphone amp to shine. LCD-3 headphones deliver refined sound with a great bass extension, detailed and dynamic midrange, and a bit brighter treble. 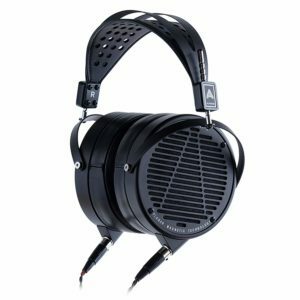 If you are into mid-centric and vocal-oriented music, you might prefer the LCD-3 headphones, but we still think that Ether 2 delivers better overall performance and better balance. HE1000 V2 headphones are the HIFIMAN’s flagship planar magnetic headphones. At the moment, they are significantly pricier than the Ether 2 headphones (approx. $700 price difference). In terms of build quality, HIFIMAN is pretty much on par with Ether 2. All the parts are made of metal and everything looks very solid. They are 4.6oz heavier than the Ether 2 which is not a small difference but the paddings are very thick and the headband is really nice. HE1000 V2 are also harder to drive than Ether 2 and require amp/DAC to show their full potential. They deliver refined sound with impressive bass and treble extensions, clear and well-bodied bass, perfectly balanced and detailed midrange, and sparkling highs. There’s a small and very subtle bump in the upper-treble region which adds a bit more sparkle and makes the sound livelier. There is no doubt that HE1000 V2 headphones deliver very likable sound signature. 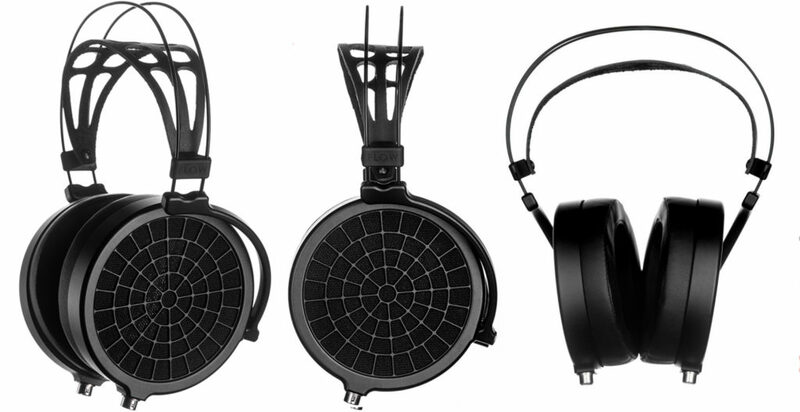 Whether you are going to like them more than Ether 2 headphones or not depends mostly on your treble preference. HE1000 V2 is a bit brighter while Ether 2 headphones deliver more laid-back treble. Audeze LCD-X is another Audeze flagship model. It’s cheaper than the Ether 2 (priced under $1,700) and if you are trying to save some money, LCD-X is a viable alternative. LCD-X headphones are entirely made of metal which makes them very durable but also incredibly heavy and bulky. They weigh 1.35lb, and they are one of the heaviest on the market. The paddings are soft and the weight is nicely distributed but they are still less comfortable than the Ether 2. Just like Ether 2, LCD-X headphones are pretty easy to drive. You will get great performance even with some cheaper headphone amp. LCD-X headphones have a very likable sound signature. Like Ether 2, they have nice bass and treble extensions, but they are not as capable and neutral as Ether 2. The greatest difference is in the upper bass and lower midrange. LCD-X headphones have slightly emphasized upper bass. This emphasis transfers to the lower midrange and makes it punchier and warmer. The emphasis is followed by a slight dip around 1kHz. The majority of users find this kind of tuning and coloration very pleasant. Technically speaking, Ether 2 delivers more neutral bass and midrange and avoids any sound coloration. If you are looking for the most natural-sounding headphones under $2,000, Ether 2 could easily be the best choice. They deliver unpretentious, uncolored, perfectly neutral frequency response with great bass and treble extensions. Some people may not like that laid-back treble (especially those who like more sparkle in the high end), but that doesn’t change the fact that these headphones offer reference-grade balance. That’s their biggest highlight but it’s not their only strong suit. Ether 2 headphones are also very solid, very durable, super-comfortable (the lightest planars on the market), and incredibly versatile thanks to numerous VIVO cables with different connectors (the cables are sold separately). The only question is – are they worth the money? Well, compared to other flagship headphones made by other manufacturers (some of them are much pricier), their overall performance most definitely justifies the price.